This Handcrafted New England Style Post Lantern is shown above with optional wrought iron cradle at the the Van Der Zee Manor House, a National Historic Register Dutch Colonial Home located in Selkirk, NY. The original house was built in 1754 by Harrison Van Der Zee, grandson of Storm Bradt who was born at sea in 1636. Since 1979 Hammerworks has created the Colonial Post Lantern P102 meticulously with attention to detail and historical accuracy. Especially relevant we build these classic Colonial Post Lanterns in two sizes. Therefore if you like this design but want something larger then Colonial New England Style Copper Post Lantern Large Sturbridge P101 is a perfect option. Either way you can’t go wrong when you choose our Colonial Post Lanterns. 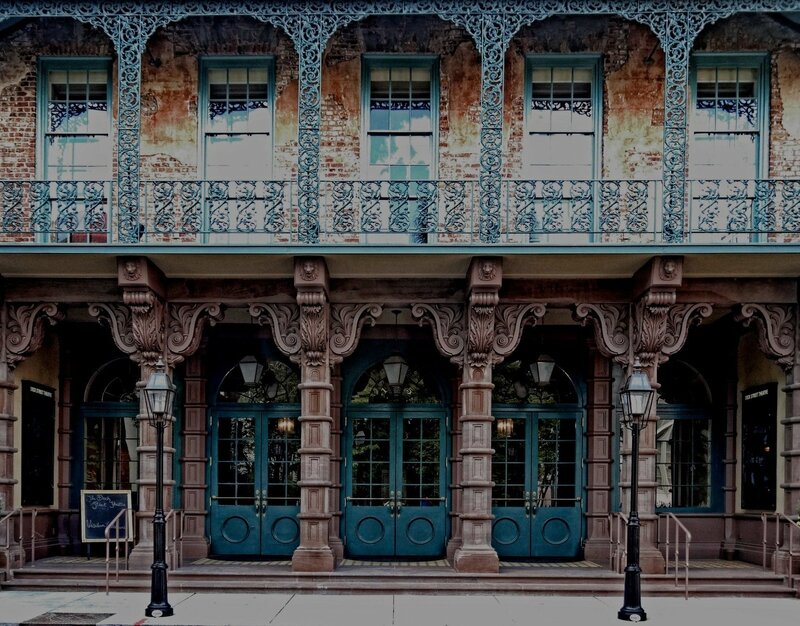 No matter what our process recalls the days when Colonial craftsmen took pride in their work. 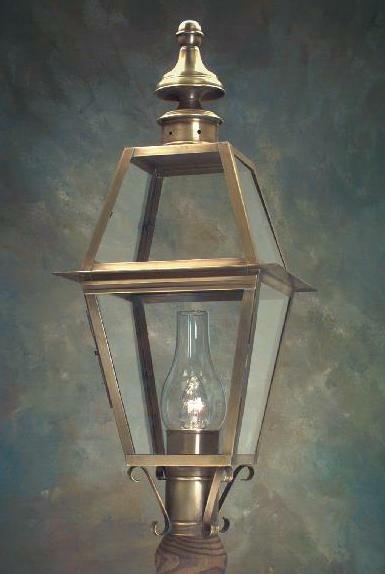 First & foremost we handcraft each of our Colonial Style Post Lanterns in your choice of solid copper or brass. Consequently we can guarantee that it will never rust or corrode.Therefore our Early American Home Post Lanterns will illuminate your colonial home for years to come. Most of all the attractive design adds aesthetic value to any architectural home design. We design our Colonial Post Lantern to provide a glowing warmth when lit. However the beauty of a solid copper or brass lantern provides a dramatic accent in daytime as well. 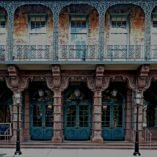 Therefore when choosing the size and quantity of any Colonial Post Lantern, consider these factors. First of all do not shy away from Colonial Copper Post Lanterns appearing large. The light may appear undersized if not scaled properly to the setting. Consequently the distance from the post light to the building, as well as the building size itself determines appropriate lantern size. In addition on long driveways, multiple Outdoor Copper Post Lanterns may be necessary to achieve proper illumination. In addition to our selection of Colonial Post Lanterns, we offer several coordinating handcrafted Colonial Wall Lanterns. Traditional Wall Lantern Sturbridge WM102 and Traditional Wall Lanterns Small Sturbridge WML102 are both companion models to the P102. In addition either Traditional Copper Wall Lantern Small Post WM112 or Traditional Home Wall Lights Small Post WML112 are ideal choices. No matter what all of these options carry a classic and traditional theme throughout your landscape design.